[New for 2019] Since I seem to be too tired for night time blogging recently, it's up to the weekends to help get me caught up. 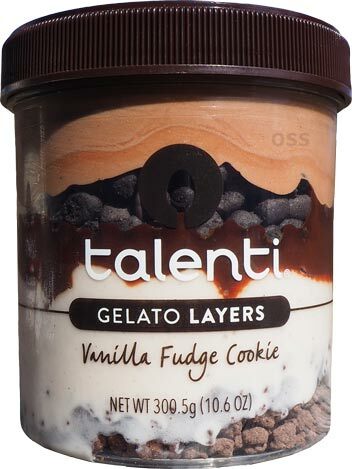 In this case, I've been having fun with some of the new layered flavors from Talenti. The biggest question is: Do they taste as good as they look? Dark chocolate gelato on top, and to jump ahead, it's pretty terrible. Ewww, what did they do to it? ....oh, they still added the vermouth like they do in their regular dark chocolate flavor. I know it's been 9 years but I had forgotten how much I DONT like their dark chocolate. The chocolate cookie layer looks and tastes good and the fudge sauce is decent. 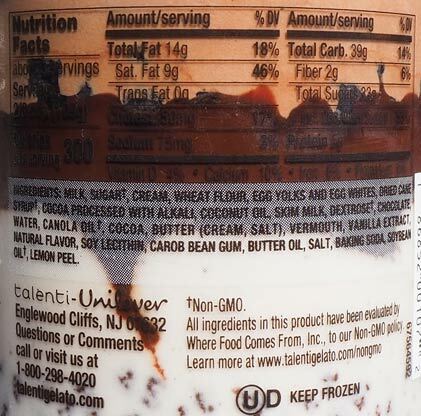 The vanilla bean gelato is distinctly more flavorful than the "vanilla gelato" in the black raspberry mix. 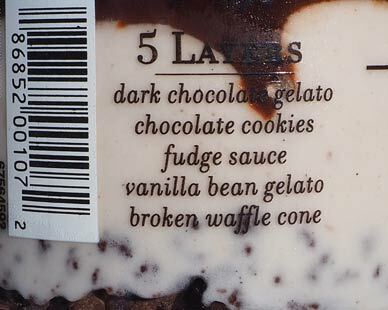 The "broken waffle cone" bits at the bottom are easily my favorite part. When you see them at the bottom, you might be like me and wonder if they taste like the crunchies in an ice cream cake, but these are better. You really can tell that they are chocolate covered waffle cone pieces, even if they are tiny. I want a bag of them to snack on at work. Basically this one gets better as you go down. 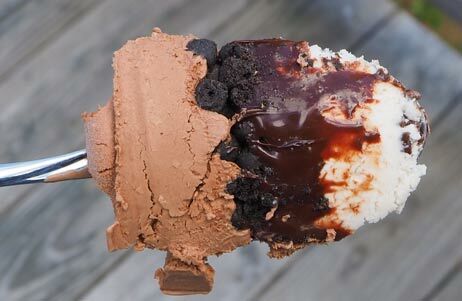 Actually, to be brutally honest, I'm tempted to toss out the dark chocolate gelato and replace it with a bit of standard chocolate ice cream. Seems wrong, but I think I just might do it. On Second Scoop: The cookie layer and waffle layers are really big winners here. Sure, I personally really don't like the top layer, and I don't love the fudge, but I'm still having fun and looking forward to the next one. I am on a quest to find one of these layered new desserts this weekend. Fingers crossed! I know this is unrelated, but has the Big Gay Ice Cream pints found their way into your area? They hit the shelves and were on sale at my local Stop & Shop (2 for $9), so I figured I'd give them a whirl (I got Dorthy and American Globs). Both were solid, though the crunch of the pretzels in American Globs gives that one an edge for me. Eric, I totally took that 2/$9 opportunity to try BGIC too, and I second your sentiments! I got the Rocky Roadhouse pint, which was odd because Rocky Road isn't even one of my favorite flavors overall, but the description sounded just "different" enough... it definitely rises way above other rocky roads. 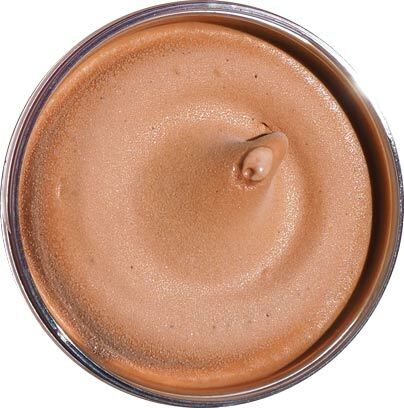 That fudge hazelnut swirl. I have mixed feelings on this. I feel like we are getting less product as in Gelato and more filler crackers/chips/etc. while being at the same price. 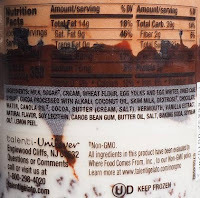 Although at the same time its not much different than ice cream with mix ins swirled through. I think the visual of the Gelato separated in layers is what makes me think since its visible that I am receiving less Gelato.